The ministry of church ushers plays a vital role in the hospitality and welcome ministry of the local church. Together with church greeters, parking lot volunteers, welcome center volunteers, and hospitality hosts, church ushers help the church member, visitor (guest) experience a wonderful worship service. 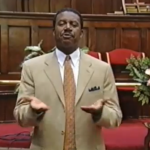 Church ushers are a significant part of church hospitality system and fulfill specific duties to accomplish that role. 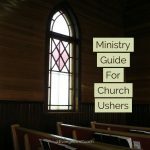 I’ve made an attempt at a ministry guide for church ushers.